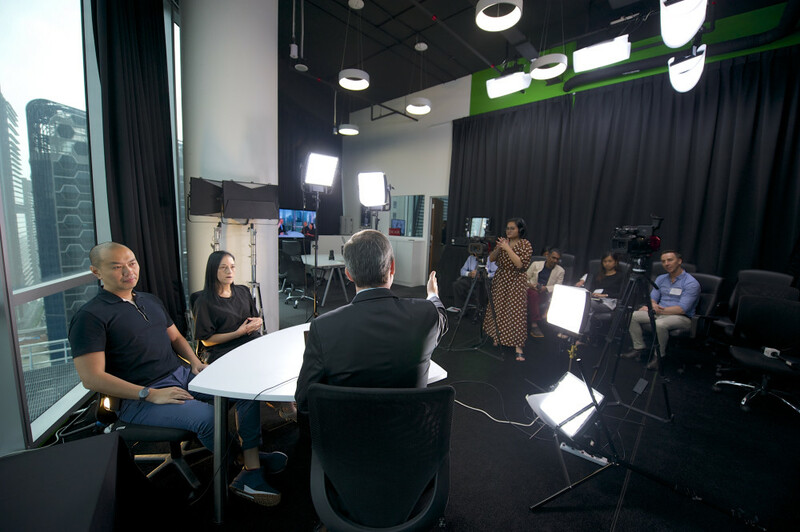 Going live: Hong Bao Media has just launched a new studio in Robinson Road, Singapore, which is purpose built for training and live webcasting. It's ten years since marketers took to content marketing in a big way, producing credible, thought-leading video content to engage their current and prospective customers, and to drive sales. Now, another trend is ready for the big time: live video webcasts. The evidence for this is already apparent in the sheer number of vendors which offer a growing range of technical services for live webcasts, while increasingly moving away from audio-only conference bridges. But the most important change has been the availability of apps on your smart phone, which allow you to stream live video through consumer portals such as YouTube, Facebook and Instagram with just a few taps. The availability of such platforms for consumers usually precedes commercial uptake, vis social media. More urgent. By definition, your audience perceives a live webcast to be more urgent than a recording. After all, viewers conclude if it's live it must be important. More interactive. Giving your viewers the opportunity to interact with the presenters and speakers demonstrates how important they are to you. This increases the value and relevance for the audience, and raises engagement levels during and after the webcast. Cheaper. Going live might cost some extra resources, but you avoid post-production, where cost overruns usually happen, deadlines are busted and frustration sets in. Going live saves yourself the cost of a lengthy and costly edit. Faster. Editing takes days, weeks and sometimes months. By that time the video is already old. No content is fresher than live content. Can I get a return on my investment? Just as with any physical event, marketing your webcast is essential to garnering a significant audience. But all the tools are there. Full-service companies such as Arkadin, ON24 and West Corp set up landing pages, manage mailouts to invited guests, and more. There are also sophisticated self-service portals, such as IBM Cloud Video and The Streaming Company, which help ensure you get a return on your investment. What if something goes wrong? Streaming platforms are much more robust than even a few years ago, which reduces the chance of glitches and drop-outs. But beyond that, audiences are much more forgiving of mistakes that happen on-screen during live webcasts. They understand that not everything goes smoothly when it's live, and in fact ascribe more credibility to authentic content. What if my spokesperson can't handle going live? It's understandable if your nominated spokespeople are nervous or have little experience in going live. No one is "born" a presenter. But while traditional media training on its own is not likely to be enough, the skills of a television presenter can be learnt. The prevalence of live streaming apps on smart phones means many teenagers are already live-streaming to their friends. To them, going live is normal. Today's teenagers are tomorrow's marketers and consumers. Are you ready to seize this opportunity? 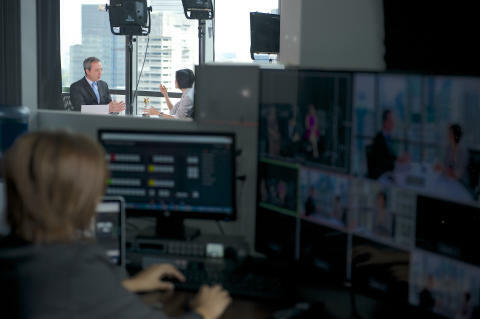 2.Staging live webcasts, including the technical platforms and cameras, on-location or in our television studios in Singapore and Kuala Lumpur.